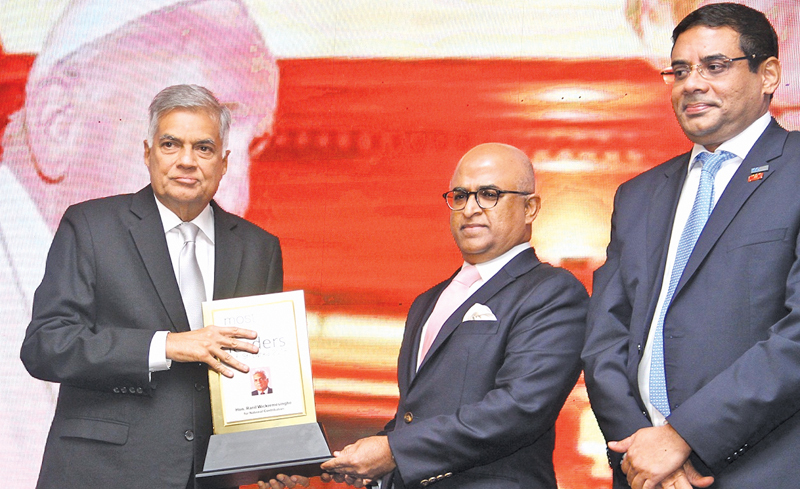 The Cabinet has approved a trade adjustment package to help the private sector, Prime Minister Ranil Wickremesinghe said yesterday. Speaking at the Most Admired Companies 2018 event held at the Shangri-La hotel, he said a Cabinet paper to give effect to this was approved in principle and will be sharpened with private sector participation. The Premier explained that Sri Lanka is faced with a huge tax burden and in 2019 over Rs 1.7 trillion is to be settled. The PM said the Hambantota Port, the Mattala Airport and the Puttalam power plants alone had resulted in the government having to pay back Rs. 1.7 trillion. “Thanks to the lease arrangement with China, we have now managed to take the financial burden of the Hambantota port. Next we will have to go in for a private-public partnership agreement for the Mattala Airport as well,” the PM said. He said that today due to high debt servicing, more tax had to be paid by the private sector. This tax structure study was prepared with the assistance of the International Monetary Fund. “However, we are now in the process of reviewing this tax format and there would be incentives that would be introduced soon,” the PM said. Wickremesinghe also said that Sri Lankan’s economy is not being properly focused and the time has come to change it. Sri Lanka should focus from being an economy engaged in non-tradeable sector to a tradeable sector. Sri Lanka’s merchandise exports dropped from 33 percent in 2000 to 13 percent in 2017 and the country must concentrate on more exports again. In contrast, Bangladesh merchandise export earnings increased from 12 billion to 35 billion in the same period.